Spread hummus on one side of each piece of bread. Lay sliced tomato and sliced cucumber down on one slice. Top veggies with large handful of spinach. Put sandwich together and cut diagonally down the middle. 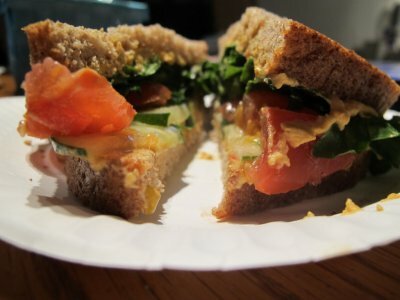 This entry was posted in Sandwiches on January 11, 2014 by Miranda @ Tempest Books. Heat a large oven-safe skillet oven medium-high heat. Add 1 tablespoon of olive oil. Season chicken on both sides with 1/2 teaspoon each of salt and pepper. Place [chicken] in the skillet and sear on both sides until golden, about 2 minutes per side. Once seared, place skillet in oven and roast chicken for 15 minutes. When finished, remove and let cool slightly, then shred into pieces. While chicken is roasting, heat a small skillet oven medium-low heat and add remaining tablespoon of olive oil. Add peppers, onions, salt and pepper, stirring to coat and cooking until soft but not caramelized – about 6-8 minutes. In a small saucepan, heat butter over medium heat until it’s sizzling. 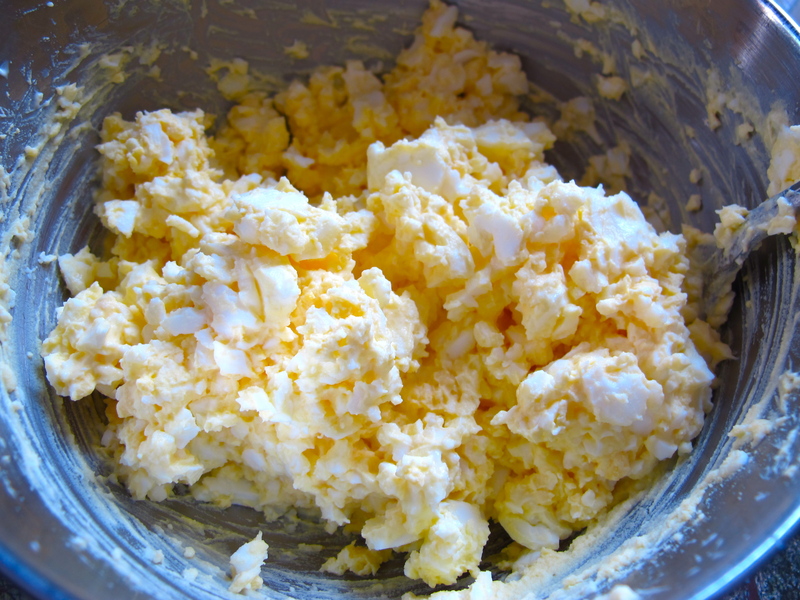 Whisk in flour to create a roux, cooking until mixture is golden and smells somewhat nutty – about 2 minutes. Add in half and half and stir until milk is bubbling and thick, then reduce heat to low. Add about 5 ounces of shredded cheddar and mix until combined and creamy. To assemble, lay out 6 squares of aluminum foil and place a roll on each. Stuff each roll with chicken, then drizzle with cheese sauce and stuff with peppers and onions. Top with a handful of extra shredded cheddar. 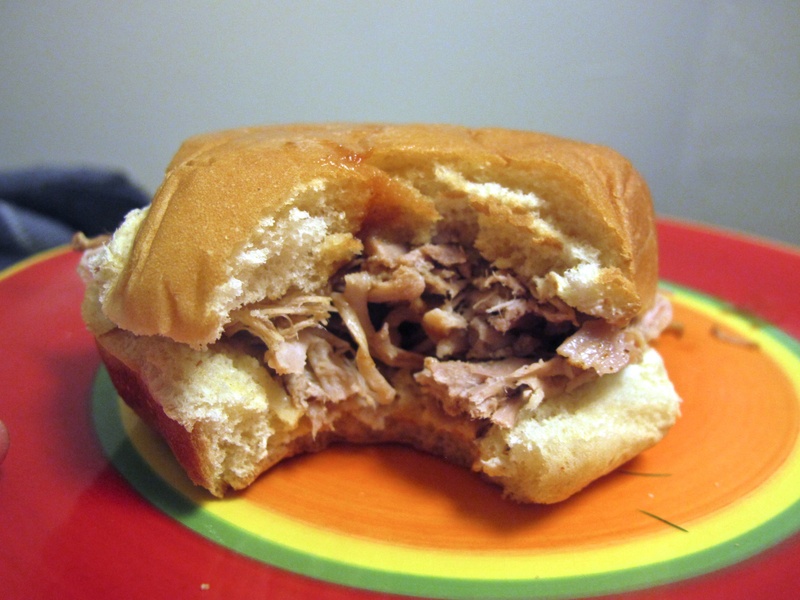 Roll each sandwich up TIGHTLY – almost cut the size in half. Once all sandwiches are rolled, place on a baking sheet and bake for 10-15 minutes. Remove and eat! 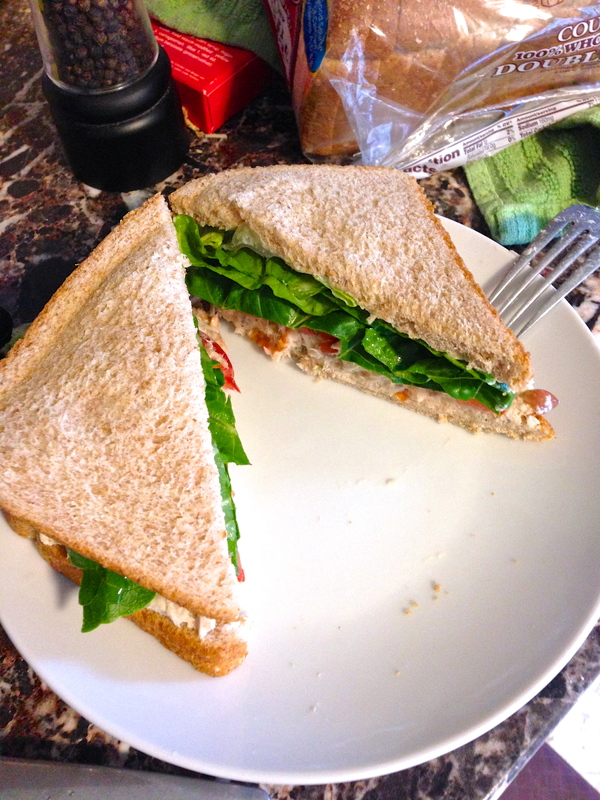 This entry was posted in Chicken, Entrée, Sandwiches on January 9, 2014 by Miranda @ Tempest Books.